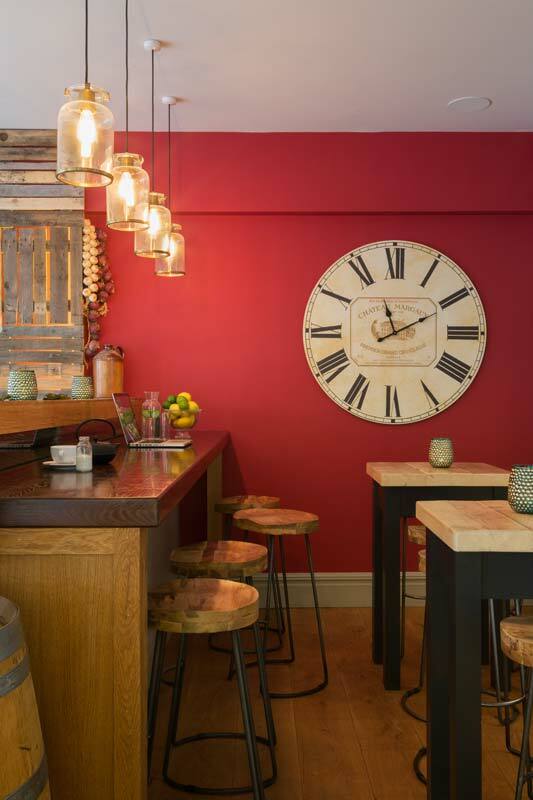 This job involved the design and fit-out of a new café for The Oxford Wine Company. 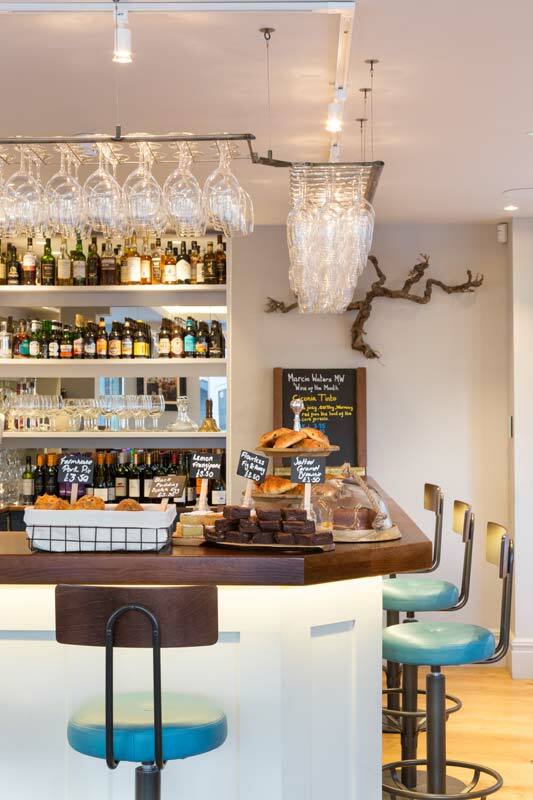 Situated on a prominent corner site in the bustling and vibrant Jericho area of Oxford, split levels and various floors divide the café into five connected but differentiated zones. There are comfy sofas, large sociable tables, and snug corners. 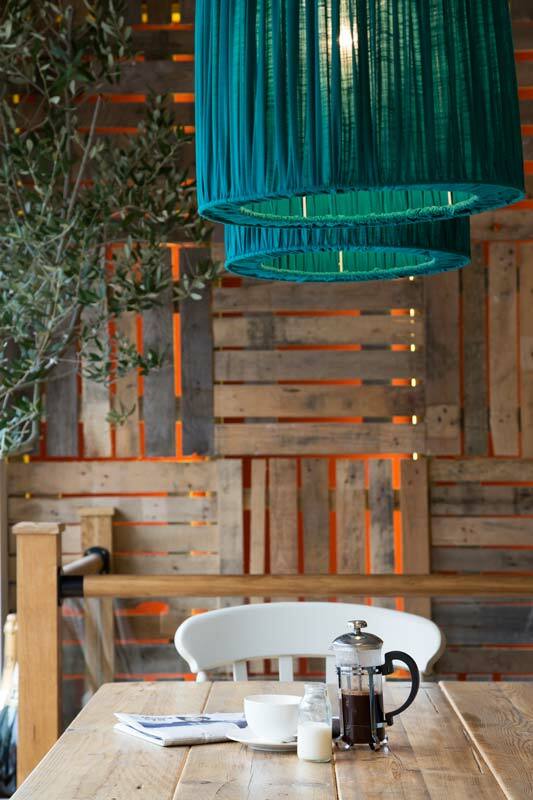 Element Studios sourced up-cycled furniture, arranged for the re-upholstery of sofas, painted table legs and created comfortable window seats. The finishes are clean and crisp with splashes of bold colour in the upholstery to unite the design. Element Studios paid particular attention to the lighting, which is carefully designed to help manage the mood and work with the zoning. The cafe is light and airy during the day, and more subdued and exciting at night. 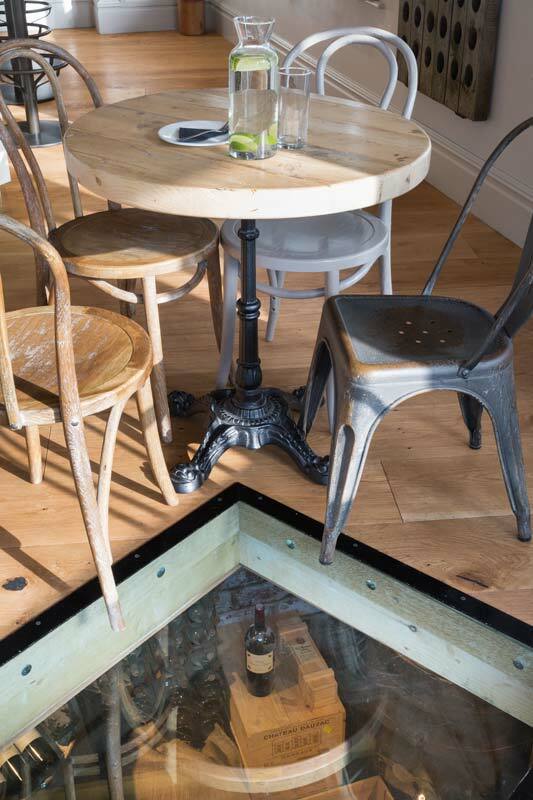 Strip LEDs under the bar work particularly well in drawing in the eye and providing indirect light in the evenings. 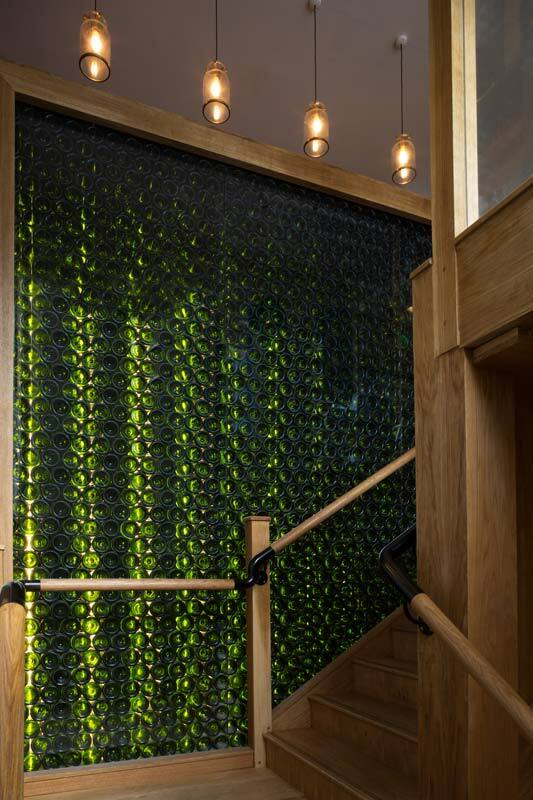 Individual exciting elements include a sculptural back-lit wine palette wall, an illuminated stair well of wine bottles and a glass floor giving views down into the wine cellar. Not to be forgotten, the washrooms were carefully designed as a stylish contrast to the airy café upstairs.